The race for gold at the Wild Horse River in British Columbia began in 1864. The discovery of huge amounts of loose placer gold resulted in the emergence of western frontier gold towns Fisherville and Fort Steele. Before the 1930s, over 1.5 million ounces of placer gold was reported to have been discovered—nuggets weighed up to 36 ounces. Despite the obvious presence of high-grade gold in the Wild Horse River, mining companies have yet to find the motherlode—the source of the placer gold—until now. 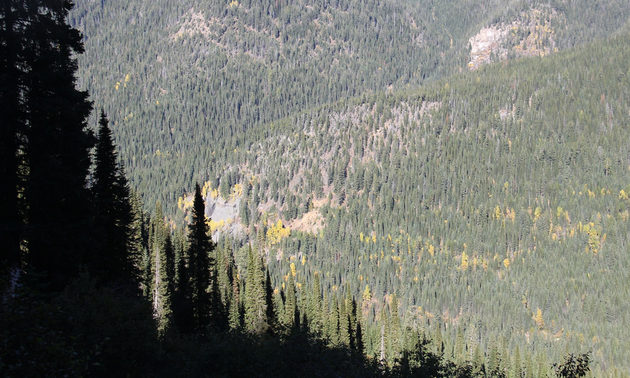 American Creek acquired its Gold Hill property, near Fort Steele, B.C., in 2015. The company believes that this property is Wild Horse’s hard rock gold source. “While there has been placer gold recovered in different areas of the Wild Horse River, the vast majority of it comes just below where Boulder Creek joins the Wild Horse River,” said Darren Blaney, president and CEO of American Creek Resources Ltd. Logically, the Boulder Creek water source is a likely spot for the motherlode. Without modern technology, a handful of high-grade gold adits was discovered, but the natural waves of the gold market halted any substantial development. “The other thing I think has contributed to the area being undeveloped is before modern technology, the mindset was if you picked up a rock or a piece of quartz, and you couldn’t see gold in it, that meant it probably wasn’t there,” said Blaney. He also explained that prospectors previously thought that the presence of fool’s gold signified that no real gold would be found in the area. Technology has proven these assumptions false. 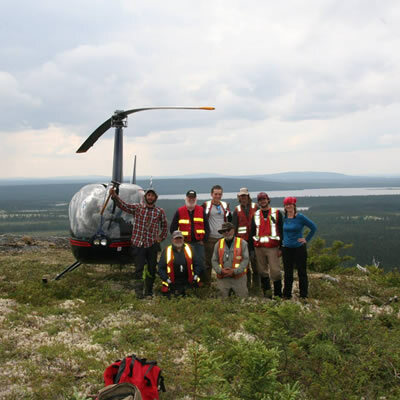 Modern exploration methods have allowed American Creek’s team of geologists to continue the exploration process. The results are encouraging. “They are still finding gold, and it’s coming from somewhere,” Blaney said of the placer gold mining operations in the Wild Horse River. That, along with American Creek’s mapping and geophysical surveying, leads the company to believe that it has found the rumoured motherlode. Plus, while organizing previous prospecting information from the property, Blaney and his team literally “stumbled upon” three new gold veins. “We weren’t even trying to find these ones,” he said. Promising samples proved the high-grade gold veins. One of these new veins is 150 metres away from the historic veins. “If that’s a continuation, it significantly expands the potential size of the gold veins on the property,” said Blaney. 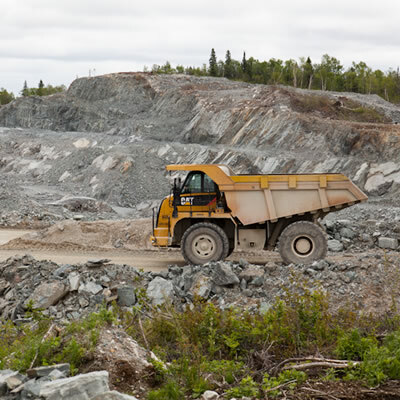 The potential mine would follow the high-grade gold veins underground, requiring minimal infrastructure and a lesser environmental footprint than open pit mines. The communities of southeastern British Columbia would benefit from the resulting jobs and economic development. 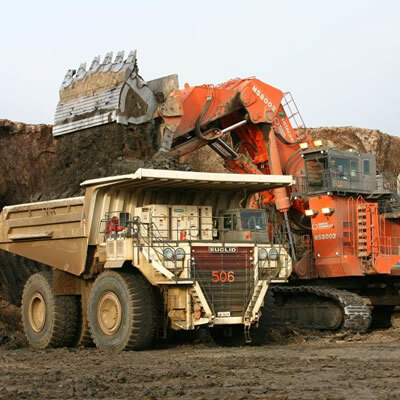 “It would fit in well with the existing placer operations going on there,” Blaney said. While American Creek is still exploring Gold Hill, the ease of recent discoveries and the location of the property upstream from Wild Horse River’s major placer gold deposits leads the company to believe that this is the gold motherlode British Columbia has been waiting for.